This weekend I attended another continuing education course provided by the Musculoskeletal Study Group of Manitoba, a group of like minded practitioners (Chiropractors, Athletic Therapists and Physiotherapists) who are seeking to always learn more to improve their clinical skills. 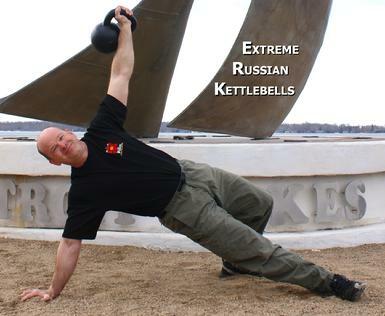 We brought in Jon Engum, a Master RKC (Russian Kettlebell Certified) instructor to teach us about improving mobility and flexibility in our patients. We spent 4 hours learning how to use strength and developing space in the body to improve our mobility and flexibility in all body movements. We saw extremely inflexible people being able to touch their toes just by performing some simple methods. We learned ways to improve the depth of your squat and to improve the mobility in your thoracic spine (all you golfers out there). We even saw one exercise that helped to improve the strength of a martial artist’s kick by performing an exercise that looked to be focused on improving shoulder mobility. It was an extremely wild, sometimes uncomfortable, enlightening experience. P.S. If you see me on Monday you see me walking different. I am sure part of me will be a little sore; but it’s a good kind of sore. This entry was posted in Continuing education by DrNotley. Bookmark the permalink.